Property 2: Luxury Yosemite Log Cabin ~ 2 Miles to Yosemite Entrance~ Now Booking!! Property 5: Wildflowers and waterfalls abound! Property 6: "Yosemite's Suite Retreat" Gingerbread Tiny House Perfect for 2! Property 7: YOSEMITE Sugar Pine Cabin, 7 Miles To The South Entrance Of The Park. Property 8: Lovers’ Cabin; Gateway to Yosemite National Park and more! 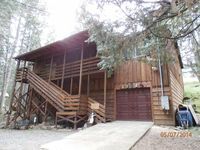 Property 14: YOSEMITE CABIN IN HISTORIC SUGAR PINE -7 miles to Yosemite So. Entrance HOT TUB! Property 16: Fire Escape Cabin-Fun Fire Department Theme ! 12 miles to Yosemite gate! Property 17: Yosemite vacation rental 30 minutes from Yosemite Valley's main gate. Property 19: Peaceful Yosemite Pines Retreat, HUGE YARD, POOL, SPA, PLAY AREA and PONIES! 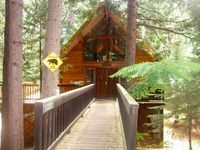 Property 22: 10 miles to Yosemite ~ Milliaty SAVE10% of room rate! Property 26: 'Yosemite's Suite Retreat' Little Bear Tiny House. Studio Perfect For 2! Property 30: Chipmunk Hollow - Get Your Nature On! Property 31: This quaint cottage is the perfect home base for your Yosemite trip. Property 32: Charming Cabin at Beautiful Bass Lake. Greenwood Lake House with Boat Slip! Property 39: Greenwood Lake House with Boat Slip! Property 41: Yosemite Falls - Get Your Nature On! Property 47: Our Yosemite Getaway - Get Your Nature On! Property 48: Large Beautiful Bass Lake-Yosemite Cabin Sleeps 10! Property 49: The Legacy - Get Your Nature On!